Every year, Sephora celebrates all of their loyal customers by offering a free gift with any purchase during the month of your birthday, if you’re a beauty insider! This past year had been my favorite gift: a sample of Benefit’s Watt’s Up highlighter plus a They’re Real mini mascara. 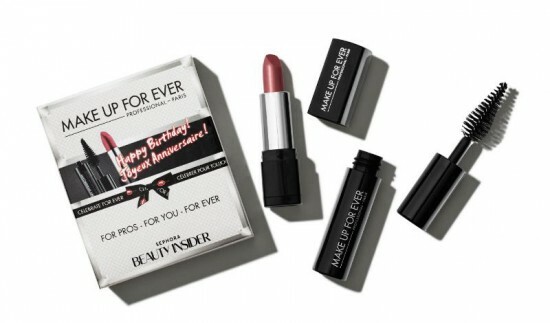 Just when I thought it couldn’t get any better than that, Sephora has upped their game with partnering with Make Up For Ever for 2014’s birthday gift. Every beauty insider can redeem this set, including deluxe samples of the Smoky Extravagant mascara and Rouge Artist Natural Lipstick in N9. 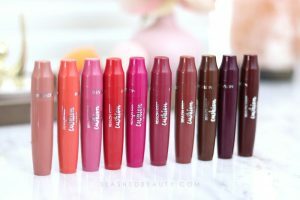 VIB Rouge members (the highest rank of the Beauty Insider program) will receive an extra gift: a mini Aqua Eyes 0L waterproof eyeliner pencil. This year there will also be a birthday gift available for men who may not want makeup: a deluxe sample of the Performance Remedy™ Turbo Wash™ Energizing Cleanser for Hair & Body from Jack Black’s line. 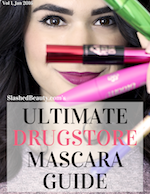 If you’re not a Beauty Insider yet, sign up is easy. You can either head to a store, register online at Sephora.com, or even use their mobile app to sign up. How does it work? For each dollar you spend at Sephora, you get a point to add to your beauty rank. You can use these points to redeem perks, starting at 100 and going up to 500-point-perks. By spending $350 in one year, you move up to VIB status with extra rewards like first dibs on new products, and $1000 in purchases will earn you VIB Rouge status which includes free shipping on all orders, and extra gifts. The best point perk I ever redeemed was an Urban Decay set including a full-size 24/7 eyeliner pencil, a full-size Primer Potion, and a travel-size of the All-Nighter Setting Spray. Can you get your sephora birthday gift a day after your birthday? Yes, you can normally redeem it a few weeks before and after your birthday! This just made my year! I was okay with the Benefit gift, and I hated the Fresh gift (truth be told, I missed the birthday cake scented shower gel from philosophy), but I LOVE MUFE!!!! Online your birthday gift will be automatically offered to you at checkout 14 days before and after your birthday and the entire month of your birthday. To include the gift with your online order, simply place a check in the box next to the gift during the checkout process. If you are within the correct timeframe of your birthday, but you do not see the birthday gift as you are checking out, please call customer service at 877-SEPHORA (1-877-737-4672) before placing your order so that we can assist you further. This is exciting news! I honestly look forward to these Sephora bday freebies every single year, and this one looks amazing! I know! I love going up to the counter and exclaiming IT’S MY BIRTHDAY!!! !